A response to Alistair Carmichael's essay on the Union published in The Scotsman on Wednesday 14 May 2014. Ever since Alistair Carmichael took over from the now somewhat fondly remembered Michael Moore he has been something of a disappointment to the No campaign, and a bit of an anti-climax for the rest of us. That is, perhaps, not so surprising given the ludicrously over-hyped build-up he was given as "Britannia's Bruiser" who was going to take the battle to the "nats" and put those uppity Jocks in their place with a devastating new approach to defending the established order and the old ways. The reality has been somewhat more prosaic. Carmichael brought nothing new to the debate. From the outset, it was clear that he had nought in his armoury but the same threadbare claptrap that we'd heard a thousand times before. In fact, Carmichael quickly came to represent every falsehood and every fallacy; ever cliché and every caricature; every inane notion and every outmoded idea that informs the campaign to deny the sovereignty of Scotland's people and the rightful constitutional status of the Scottish nation. In this "essay", Carmichael obligingly catalogues many of these for us. 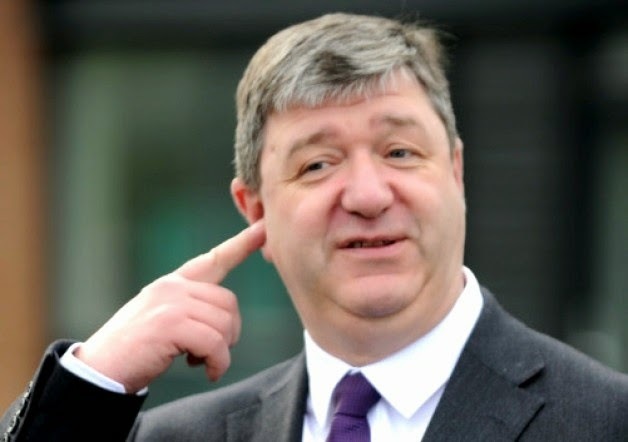 The most familiar image of Alistair Carmichael is the one where he is pictured with his finger in his ear (see above). It has never, to the best of my knowledge, been established whether the purpose of this posture was to stop the old, familiar ideas falling out of his head or to prevent scary new ideas getting in. What is sure is that Carmichael displays the same curious detachment from and incurious unfamiliarity with Scotland's politics as is common among British politicians - particularly those who have sold their souls to Westminster. The union Carmichael champions is not the union as it is perceived and experienced by those of us who are not part of the remote Westminster elite or its corporate and social clients. It is a union of woolly-minded myth, misty-eyed romanticism and artfully revised history. It is a Disney-esque depiction of Britain replete with all the tawdry triteness and banal jingoism needed to prop up a puerile, pedantic patriotism. It is a UK which represents the natural order, generously bestowed and ordained for eternity by some higher power. Carmichael does not see the corrupt, anachronistic, asymmetric and anomalous union that is perceived from outwith the armoured bubble of the London city-state. He cannot see the Britain that is not a country as he imagines but, in the immortal words of James Kelman, no more than the name used by the ruling elite and its structures of authority to describe itself. He chooses not to see the UK in which inequality, injustice and insecurity are rife and growing like a malignant cancer. Similarly, the independence movement that Carmichael mindlessly opposes is not the peaceful, civic nationalist movement bent upon achieving an entirely worthy and legitimate constitutional goal by way of democratic self-determination which is familiar to those who actually engage with the referendum campaign. It is, rather, a warped caricature of reality contrived by the defenders of the British state and its ruling elites in order to rationalise their unremitting denigration of Scotland, its people and our aspirations as they fight to preserve their power and privilege. Like pretty much every other British politician who has entered into the referendum debate, Carmichael cannot be effective because he simply doesn't understand the fundamentals of that debate. Hence, he talks incessantly of his "Scottishness" as if he feels the need to constantly reaffirm his credentials. This rather gives the contrary impression to his claim of being secure in his identity. "...we cannot allow the feeling to grow that to be on the other side of the argument from the SNP is somehow to be less Scottish." Carmichael's point of reference when he says this is, not the SNP or the wider civic nationalist movement, but the bogeyman caricature of these that he has conjured in his own imagination. Were he just a little more in touch with reality he might recognise that it is only on the Better Together website that one finds talk of "patriotism" and "real Scots" - a term which inescapably implies degrees of "Scottishness". The challenge to Carmichael's identity comes, not from anybody on the "other side of the argument", but from within himself and the British nationalist ideology that he embraces. "That unless you see your identity purely in terms defined by the nationalists, you are in some way selling your country short, that you do not of your fellow countrymen and women. That you do not really believe in yourself." This is classic deflection. If people understand Carmichael to be selling his country short; if they are persuaded that he does not "really believe in the talents and abilities" of the people of Scotland, this is not because of some prejudiced assumption about his "Scottishness". If people have assessed that he is less than convinced of the capacities of Scotland's people and lacking confidence in the nation of Scotland this is entirely founded on the things that he has said and the propaganda messages with which he has chosen to associate himself. That those on the pro-independence side of the argument care little for ethnicity is amply in evidence. The entire modern civic nationalist movement is founded on the principle that being Scottish is not a matter of common ancestry, but of shared commitment. To portray the independence campaign as setting any kind of store by an accident of birth rather than acceptance of willing and active participation in the life of the nation as the sole criterion for being considered part of that nation, represents either a tragic failure of comprehension or a wilfully malicious calumny. Carmichael and his fellow British nationalists are the ones obsessing about identity. The Yes campaign is too preoccupied with envisioning a better nation for all of Scotland's people to be bothered with such irrelevancies as how individuals prioritise the component parts of their personal identity. If they choose to label any fraction of that identity as Scottish, that is sufficient. There is no need for anybody to devote a large part of a lengthy essay to an effort to persuade others of just how Scottish they are. Carmichael can play "Scottish Top Trumps" with other British nationalists if he wishes. I, for one, will not be joining in any such silly games. Having (hopefully) done with his overly effusive and wholly inexplicable pride in the fortuity of having been born in a particular place to particular parents, Carmichael moves on to his pride in all things "British". He begins this section of his "essay" with the kind of fatuous comment that invariably speaks of someone who is more a master of the plausible cliché than of his subject matter. "The UK isn’t something that was done to us." Er! Yes it was! The people of Scotland had no say in the imposition of the union. To the extent that they were able to express an opinion on the streets, they did so in fervent opposition to the whole idea. The union never had anything to do with the interests of the people of Scotland - or England. It was contrived entirely for the benefit of the ruling elites of both nations. Unless the "us" of which Carmichael speaks refers to the successors of those ruling elites, the union most assuredly is "something that was done to us". A Freudian slip, perhaps? Or just a blundering attempt at fine-sounding rhetoric? A more reflective individual than Mr Carmichael might, when gushing about the heart-swelling pride prompted by the architectural grandeur that is a legacy of Britain's past imperial glory, have tempered their enthusiasm somewhat in consideration of the global-scale exploitation of the populations and resources of other nations which financed such structural extravagance. But let us be generous and allow that it is no part of Carmichael's purpose to offer an honest historical analysis. Especially when such analysis might tarnish the rose-tinted vision of Britain's past that better suits his agenda. There is more on past achievements of various kinds - scientific, industrial, social - with much emphasis on the fact that these achievements involved people from different parts of the British Isles. Strangely, little credit is given to those from further afield who also made valuable contributions but, again, Carmichael isn't interested in offering a fair and accurate picture but in persuading us that all these achievements were only made possible by the grace of the British state. His thesis appears to be that, absent the guiding hand of the British state, none of these things would have come to pass. Or, at least, that Scotland would have been utterly deprived of the benefits of these various advances in technology and social organisation. As ever, what is missing is any explanation as to why this might be. There is no attempt to explain why, for example, Scotland could not have developed a national health service had it not been part of the UK. It is simply asserted that, but for being in a political union with England, Scotland would have been isolated - a pocket of stagnation amid the progress of the industrial revolution and all that ensued. Hardly a credible claim given the leading role played by Scottish people in every aspect of this progress. Besides, this is all history. Even if we allow that the union brought some benefits in the past - and Alistair Carmichael completely fails to make the case that those benefits were crucially dependent on political union - this has no bearing on how political union serves us now and in the future. We must judge that union, not for what it once was, but on the basis of what it is now and what we calculate it will become. Carmichael seems to be aware of the need to justify the union on the basis of its current and potential utility rather than mere sickly sentiment. But he is clearly not up to that task. In fact, he skates over this part of his argument as if acutely aware that it would be best not to dwell over-long on the present condition of the UK or its prospects. Instead, he resorts to standard Project Fear negativity with talk of Scotland "going it alone" and "walking away" from what only a moment ago he was insisting were institutions that we developed jointly and so held in common. Apparently, despite the very significant contributions that Scotland made to the development of institutions such as the BBC and the Bank of England, we have no claim on any part of them. It seems that those contributions were not part of a shared effort after all but payment of tribute to the British state. It does not occur to Carmichael to question the legitimacy, never mind the justice or basic fairness of this. Nor does he see it as any kind of slight to Scotland and its people. For him, the supremacy of the British state is simply a given. We do get the token lip service to respect for Scotland that is now de rigueur for all British politicians. "But for me, the debate has never been about whether Scotland could go it alone; it has always been about whether Scotland should go it alone." This is simply untrue, of course. From the outset, the anti-independence campaign has been entirely about inculcating the idea of Scotland as "Too wee! Too poor! Too stupid!" to be as other nations. This belittling propaganda has been built on a foundation of denigration, defamation and deprecation built up over decades. And it continues even now. All that has changed is that people like Carmichael now find it politic to be more circumspect in their language. Their spin-quacks have advised them that they must be artful in the form of words they choose. They must intersperse the insults with compliments and bracket the negativity with carefully crafted sound-bites such as the above. They're fooling no-one. Next out of Carmichael's rag-bag of bedraggled arguments is one that he's borrowed from his British Labour chums. The glib and utterly specious "solidarity" argument. This follows hard on the heels of the usual lie about the SNP having failed to acknowledge that Scotland would face problems after independence much as other countries do and its entry on the scene is signalled by the phrase, "pull up the drawbridge on issues like social justice just north of Hadrian’s Wall". What does this even mean? Is Carmichael saying that people south of Hadrian's Wall are incapable of pursuing social justice without the people of Scotland doing it for them? Is he claiming that the pursuit of social justice cannot operate across political boundaries? Is his point that, if we can't achieve social justice for everybody everywhere then it is sinful to pursue it for anybody anywhere? And what the hell is a member of the current UK Government coalition doing talking about social justice anyway!? An administration which has been responsible for some of the greatest social injustice in modern times. Damned hypocrisy! Like every British politician who has ever presumed to pontificate on the matter Carmichael either stupidly misunderstands or maliciously misrepresents the claim that Scotland has a distinctive political culture. If we credit him with normal intelligence then we must assume that he is actually well aware that this is not a claim of different/superior values and attitudes but merely the observation that, however similar those values and attitudes may be across these islands and beyond, they nonetheless find their expression in different ways in different places. That the same values and attitudes can give rise to different political cultures is observable fact evidenced by the increasing divergence between the political cultures of Scotland and rUK. This doesn't in any way mean that people are different. Only that the political culture has developed differently by virtue of the fact that it has evolved in a different environment. To point out just one glaring example, Scotland has its own parliament. Surely any person of normal intelligence can see that this alone would tend to produce a distinctive political culture. "One thing we Scots could never be accused of is being insular." Formulated to sound like a compliment, the actual intention is to suggest that independence equates with isolation. The implication is that Scotland can only ever be connected to the rest of the world by being incorporated in a political union with England. The stunningly arrogant assumption behind this is that all of Scotland's relationships with the world must be mediated by the British state, or there will be no relationships at all. Carmichael simply cannot conceive of Scotland freely negotiating its own relationships with other nations and international bodies. For him, it is preposterous to imagine that Scotland could be capable of doing what every other nation does. He sees us as inherently incapable and utterly dependent on Westminster and Whitehall. And still he will insist that he is not being negative or derogatory. There's a form of doublethink involved. "Holyrood gives us the ability to create Scottish solutions to Scottish problems..."
It doesn't, of course. Even the British parties acknowledge that it doesn't. They are always talking about further constitutional tinkering because they are constantly being obliged to concede that their previous constitutional tinkering did not give the Scottish Parliament powers to "create Scottish solutions to Scottish problems". Devolution is and always will be inadequate and unsatisfactory precisely because the overriding imperative of those who design the arrangements is, not the creation of a settlement which addresses the needs and aspirations of Scotland's people, but the contrivance of a fix which preserves the power of Westminster while placating those who demand the powers that are needed to actually create Scottish solutions to Scottish problems. Talk of "more powers on the way for the Parliament, should separation be rejected" is just as dishonest. There is no "guarantee" of more powers, as unionists claim. There aren't even any viable proposals on the table. And no way for the electorate to endorse them supposing there were. A more thoughtful person than Alistair Carmichael might wonder why it is, if the union is the wondrous thing that he supposes, that it can only survive with the promise - or pretence - of drastic reform. I mentioned that Alistair Carmichael is ineffective as a campaigner against independence in part because he has utterly failed to grasp, or is in total denial of, the nature of Scotland's independence movement. I have also hinted at the fact that another reason he is so ineffectual when it comes to promoting political union with England as Scotland's best constitutional option is the fact that he has never questioned the efficacy of that union. He has never critically examined the constitutional arrangements that history has bequeathed to the modern nation of Scotland. One cannot successfully advocate a position or proposal unless one is intimately acquainted with all the implications and effects involved. Failing this, one is left with only glib, superficial arguments of the kind that Carmichael offers. That and a last-ditch defence of your position that relies on ever more luridly dishonest representations of the alternative. Carmichael has no more asked himself what being bound in an asymmetric, dysfunctional political union means for Scotland than have any of his fellow British nationalists. He has never considered the profound way in which Scotland is affected by being the minor party to a grossly unequal partnership in which our very status as a nation is only rarely and grudgingly admitted. He has certainly never given a thought to how the other aspects of our union with the rest of the UK are adversely impacted by the nature and form of a political union forged in another age for purposes that never had anything to do with the people of these islands and which long since became entirely redundant. There is another facet of Carmichael's lack of awareness that struck me forcibly as I read his essay. It is something which undoubtedly contributes to his ineffectiveness as an advocate of maintaining Scotland's unsatisfactory relationship with the British state. It is something which also adds considerably to the growing feeling that the effort to preserve existing structures of power and privilege must ultimately fail. Carmichael has not the slightest appreciation of the sacrifice he is demanding of Scotland's people as the price for continuing an arrangement which just happens to afford him considerable status and rewards. He simply does not realise what he is asking of us. This much is obvious from the trivial, specious and fallacious arguments he deploys in the hope of persuading us to throw away so much in the name of his sentimental and self-serving attachment to an arrangement which even he acknowledges is so flawed as to require major revision. He demands that we sacrifice our status as a nation. He demands that we sacrifice our sovereignty. He demands that we sacrifice the real democratic power that we will hold in our hands for fifteen hours on Thursday 18 September. He demands that we sacrifice that thing which he himself holds to be so important so long as it is only expressed in the context of the British state - our pride. I am not prepared to make such a sacrifice. And Alistair Carmichael has done absolutely nothing to persuade me that I should. 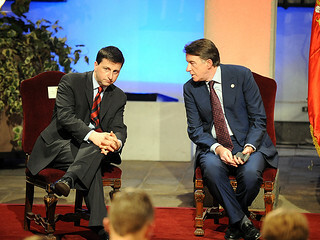 For Somebody who is supposed to be one of British Labour's "great thinkers", Douglas Alexander isn't too bright. (Alexander claims Salmond in denial over Yes vote) Never mind the plainly idiotic claim that "Scottish Labour is here to stay" when we all know that there is no such entity. There is only British Labour, in alliance with the Tories and with a Scottish branch where Johann Lamont gets to be office manager. Given the undeniable fact that there is no Scottish Labour Party, what is Alexander saying here? Is he saying that after a Yes vote "Scottish" Labour would continue as it is now, a mere appendage of the British Labour Party doing the bidding of its masters in London and continuing to insist that Holyrood must always be subordinate to Westminster? Is he telling us that British Labour politicians in Scotland will persist in fighting against independence even after the people of Scotland have voted for it? Has he informed his "leader" of this policy? Has he told British Labour MPs and MSPs that they are to be required to deny the democratic will of the people of Scotland? Or is he just a bladder making noises? Only a bladder would imagine that polls predict results rather than indicate trends. Only a bladder would deny that the clear trend is towards a Yes vote in the referendum Only a bladder would fail to realise that this is the sole reason he has been drafted in to replace the hapless Alistair Darling. But that's not the end to Alexander's folly. Nor even the worst of it. He tries to deny simple logic. If his call for a a coming together of political forces in Scotland following a No vote is valid then it inevitably follows that Alex Salmond's similar proposal must also be perfectly valid. The First Minister has committed the Scottish Government to working with former opponents in the interests of Scotland and its people when we vote Yes. Douglas Alexander - who we must now assume speaks for the Tory/Labour/LibDem alliance of Better Together as well as for British Labour in Scotland - refuses to make such a commitment. On the contrary, he appears to intimate that unionist politicians like himself will not accept the verdict of Scotland's people and will continue to oppose independence even after that verdict is in. It's as well to know the kind of people we are up against. The kind of people we will empower if we are foolish enough to vote No. The kind of people who consider democracy to be something than can quickly be discarded when it becomes inconvenient. As I write this, the buzz-word of the moment is "reconciliation". The idea is being put about that Scotland will require some sort of healing process after the referendum. The implication being that the referendum itself has somehow been damaging to Scotland. We are effectively being told that the exercise by the people of Scotland of their democratic right of self-determination has been detrimental. The referendum is portrayed as an act of self-harm. From the incoming Kirk Moderator, Rev John Chalmers, we have a proposal to hold a special service three days after the vote so that everybody can come together, sing a few hymns, listen to some pompous cant from the pulpit and do a bit of good old religionist forgiving. Quite what it is that those participating are supposed to be forgiving isn't quite clear. I can only suppose that the meenister wants us all to give absolution to the agents of Project Fear who have spent the last few years talking Scotland down at every opportunity, peddling lies and smears, and generally poisoning what should have been a civilised debate on a question of fundamental importance to the whole nation by treating that process as if it was just another of those unseemly electoral squabbles that characterise the debased politics of the British state. Those who have sought to mislead and deceive and intimidate the people of Scotland into forfeiting their sovereignty are to be given a free pass. Very nice for them, I suppose. But should we really be encouraging such people to think they can behave as deplorably as many of them have with total impunity? Coincidentally, I'm sure, the Rev Chalmers's proposal for a "service of healing" came at the same time as British Labour's Douglas Alexander was calling for a new cross-party consensus after a No vote, to heal the political and social division he alleges has been caused by the referendum. He says he wants nationalists to “join us to work together in the task of making devolution work, not proving devolution wrong”. The "us" to which Alexander refers is, of course, the very Westminster elite that fought tooth and nail to prevent the people of Scotland ever having a say on the constitutional question. The same British politicians who have now had at least two stabs at "making devolution work" and, by their own admission, have failed. The very people who have made the referendum politically and socially divisive by their behaviour throughout the campaign. If the referendum campaign has taught us anything it is that we should treat with the utmost caution everything said by British politicians. The plausible high-minded piousness with which Alexander preaches unity of purpose should not blind us to the ulterior motives behind the fine-sounding rhetoric. We should never lose sight of what the true purpose is. We should always be mindful that the overarching priority for Alexander and his ilk is the preservation of the structures of power and privilege which define the British state. When Alexander talks of "making devolution work" he is actually asking that we abandon the aspiration to have Scotland be as other nations in favour of an anachronistic, anomalous arrangement that serves only the interests of the ruling elite. When he implores us not to prove devolution wrong he is actually urging us to oblige the ruling elites that he serves by not pointing out the massive flaws in devolution arrangements designed to suit the purposes of the British state rather than serve the needs of Scotland's people. Whatever else may be said about Douglas Alexander, he is one of the No campaign's better speakers. He has a knack of imbuing even the most vapid, vacuous nonsense with a degree of spurious importance that is at least sufficient to persuade the British media that his speeches warrant acres of newsprint, hours of air-time and much ponderous analysis. All the more reason, therefore, to be aware of the sub-text and wary of the underlying implications. Never take his words at face value. Always examine them in the context of the anti-independence propaganda campaign and the contribution they are intended to make to that effort. The No campaign's techniques could hardly be described as subtle. The dishonesty has been blatant, the smears shameless and the scare-mongering obvious to the point of being ludicrous. But this is not to say that there aren't more insidious elements at work. The recent despicable attacks on Yes campaign supporters Chris and Colin Weir, for example, have been widely condemned as one of the more wantonly malicious acts perpetrated by the anti-independence campaign. But, apart from the obvious attempt to turn the public against these perfectly decent folk, the more insidious purpose was to de-legitimise the referendum. To plant the idea that the referendum cannot not be legitimate because of the way the Yes side is being funded. To bring the whole process into disrepute and thereby cast doubt on the validity of a Yes vote. In part, at least, Alexander's latest offering is in the same vein. It suits the purposes of the anti-independence campaign to portray the referendum process as inherently flawed. By making a big fuss about the need to heal the political and social divisions caused by the referendum Alexander's aim is to convey the impression that it is the referendum itself that has been the cause of political and social division and not the often highly reprehensible conduct of those directing the No campaign. Alexander is, in the words of Lesley Riddoch, fanning imaginary flames. The superficially conciliatory tone conceals a malicious intent to foster resentment and rancour. Let nobody be fooled! This is no honourable effort to deal with the aftermath of a No vote. Alexander is laying the groundwork for a ruthless crushing of Scotland's independence movement by a triumphant British state emboldened by its success in cowing the people of Scotland into ignominiously submitting to the Westminster elite. If the people of Scotland can be intimidated into throwing away the unprecedented power that they will hold in their hands on Thursday 18 September, what further indignities might they be persuaded to endure? Alexander's speech is redolent with the pathetic, emaciated thing that suffices for political vision in the middle and upper echelons of "Scottish" Labour these days. A sour craving for a return to business as usual where the collie dugs in red rosettes could take the people of Scotland for granted and the British establishment could relax in the knowledge that fractious Scotland was in a safe pair of hands. British Labour politicians in Scotland have clearly demonstrated that their loyalties lie with the old order and the old ways. But Scotland has been changed by the referendum campaign. Its politics have been dramatically altered. I'm not sure that it is possible to turn the clock back as Alexander so dearly wishes. It is likely that any attempt to do so will have unfortunate consequences. I am not one for harbouring grudges. I abhor the thought of an aftermath to the referendum which sees Scotland's politics being contaminated by resentment and recrimination. We need only look at the way "Scottish" Labour has degenerated since being ousted from power to see where this leads. We should be prepared to welcome with open arms those who genuinely want to see Scotland flourish. But those who have served Scotland ill during the referendum campaign have no right to expect that they might simply pick up their political careers again as if nothing had happened. Those who previously gave their allegiance to the economic and political elites of the British state will rightfully face the difficult task of persuading us that they now seek to serve the interests of the people of Scotland. Whichever way the vote goes on 18 September, it is those who have urged the people of Scotland to forfeit their own sovereignty and reject their nation's rightful status who will face the greatest test. The onus will be on them to justify the tremendous sacrifice that will have been made if they are successful in persuading people to vote No. And if the people of Scotland choose not make this great sacrifice then they will inevitably be asking some very hard questions about whether those who have spent years telling us independence would be a catastrophe for Scotland can realistically be expected to work towards proving themselves wrong. It is right and proper that politicians should answer for their words and deeds. It is entirely fitting that they should face the judgement of the electorate. No amount of worthy-sounding platitudes about "reconciliation" from religious or political praters should exempt politicians from that fundamental requirement of democracy. This article which was first published in the Yes Clydesdale Aye Magazine. Jim Sillars - visionary or liability? 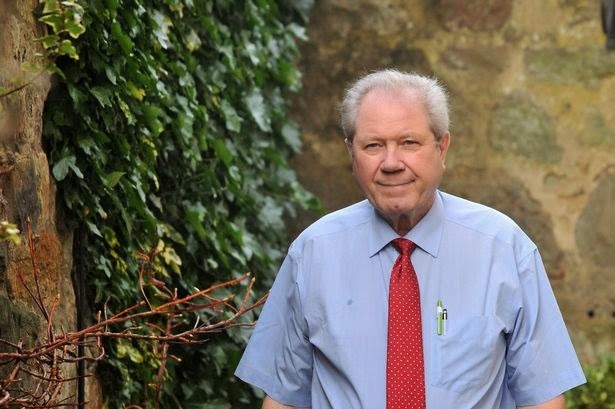 I see Jim Sillars is at it again - Alex Salmond has become a liability to the Yes campaign – and could cost them the referendum, says Jim Sillars. The fact that he is winning enthusiastic support and encouragement from the anti-independence campaign should give him pause for thought. But I doubt that it will. Sniping at the SNP and its leadership has now become such an ingrained habit that I doubt if Sillars could desist even if he wanted to. He may be right to say that "the unionist media's anti-Salmond battery of criticism and often sarcasm and ridicule has been working". Although it is curious that the supposed effectiveness of the anti-Salmond smear campaign is not more forcefully reflected in The First Minister's approval ratings. But, to whatever extent the attacks on the FM are effective, it is likely that this effect is aided by the likes of Jim Sillars echoing the criticisms rather than challenging them. The ridiculous brouhaha over Salmond's diplomatic remarks about Vladimir Putin is a case in point. Sillars is intelligent enough to know that there is not the slightest grounds for the storm of faux outrage that has been whipped up by the British media. But instead of condemning those who maliciously misrepresent what the First Minister said he adds his own voice to those who are trying to make the Yes campaign all about Alex Salmond for the simple reason that it is easier to smear a politician than it is to attack the aspirations of a nation. There is something rather ridiculous too in Sillars's constant carping about Salmond's methods when those methods have been more successful than he and the rest of the absolutist clique within the SNP could ever have imagined. One can't help but get the impression that it is this very success that Sillars and his ilk resent. An impression that does no favours for a man who is otherwise very highly respected. Sillars needs to face facts. Transforming the old "Scottish Executive" into a real Scottish Government and elevating the office of First Minister from the standing of a glorified councillor to that of a genuine national political leader were both crucial to preparing the nation for the restoration of its rightful constitutional status. If we purport to be a nation then we must be seen to conduct ourselves as a nation. Sillar's should also recognise that the office of First Minister does not belong to Alex Salmond, far less the Yes campaign. It is not his to use as he will for any purpose. The office of First Minister belongs to the nation. It belongs to the people of Scotland and is only held in trust by the incumbent. It would be an abuse of that trust for Alex Salmond to risk demeaning his office for the sake of advancing a political cause - even one as worthy as the cause of independence. But this latest outburst from Jim Sillars is neither "explosive" nor "devastating". Persistent petty and unjustified attacks from this quarter have become as much a tedious feature of the Yes campaign as the unremitting negativity of the No campaign. While people listen intently to Jim Sillars when he is talking about his vision for Scotland's future, they merely tolerate his constant sniping at those who have brought us to the verge of having the power to realise that vision. Many tolerate these outbursts with increasingly strained patience. It would be nothing short of a tragedy if Jim Sillars came to be remembered, not for his great service to the independence movement, but for the damage he risked inflicting on that movement by his departures into a rather silly personal agenda. The Herald reports Cameron to make two-day foray to Scotland to fight for the Union. The only interesting thing here is that the supposed leader of the anti-independence campaign, Alistair Darling, isn't even mentioned. It seems that Cameron has abandoned hope of making the hapless British Labour back-bencher his scapegoat when the people of Scotland vote Yes. It looks as if the Tories have decided to step out from behind the British Labour stooges who have been fronting the No campaign on their behalf and try to appeal to the people of Scotland directly. This has all the hallmarks of a strategy devised in desperation and frustration. And what of this "more positive slant" to the anti-independence campaign? We've already seen what this amounts to and it's no more than British politicians now adopting the practice of bracketing the same old grinding negativity with claims that they are not being negative. They will preface every rehashing of the tired old "Too wee! Too poor! Too stupid!" line with the words, "Of course Scotland could be a successful independent nation! ", uttered with all the false sincerity that a professional politician can muster, before proceeding to assert a ludicrously contrived catalogue of supposed consequences so dire as to persuade any who are gullible enough to believe them that there is no way Scotland could ever be a successful independent nation. The duplicity is transparent enough to be an insult to the intelligence of the people of Scotland. Quite why Cameron and his advisers think that the lies will be any more convincing - or less insulting - when delivered by Tories rather than their British Labour allies is difficult to fathom.